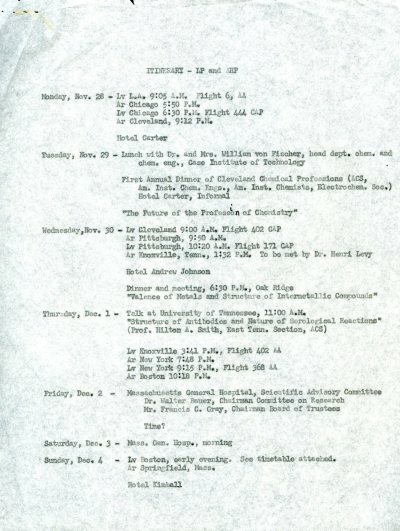 Itinerary for Linus Pauling's travels through New York, Washington, D.C. and Chicago. November - December 1949. Page 1 Larger Images / More Information. 3 pp.